At the darkest time in the year, the light breaks forth. The old sun dies and a new sun is born. The days begin to lengthen. Many holidays and festivals are ways of honoring Winter Solstice, including, of course, Christmas. This might be the first year that the darkness and the light has a particular meaning for me. Winter Solstice and Christmas refer symbolically to an age that is ending and a new one beginning. We are witnessing the collapse of Petroleum Man. Before our eyes, if we open them, we can witness the demise of a bad idea. Infinite growth on a finite planet fueled by non-renewable, unsustainable, hydrocarbons. The dark is dark and it will be dark for some time. Hopefully, what will be born is Post-Petroleum Man. One hundred years from now, human Earthlings will live by sustainable direct energy by the sun, wind, and waves, if there is a life system left for them. What is left could well depend on what we do (or don't do) now. Will Petroleum Man collapse consciously and graciously or with panic and weapons of mass destruction fighting for the remaining hydrocarbons in a desperate attempt to sustain the unsustainable? 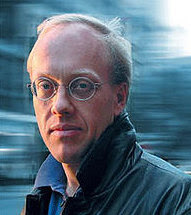 Chris Hedges is predicting US Empire Could Collapse At Any Time. Speaking to Raw Story on Wednesday night, he said the signs of US collapse are plain to see and compared the country's course through Afghanistan to Soviet Russia's. "We're losing [the war in Afghanistan] in the same way the Red Army lost it," he said. "It's exactly the same configuration where we sort of control the urban centers where 20 percent of the population lives. The rest of the country where 80 percent of the Afghans live is either in the hands of the Taliban or disputed." "Foreigners will not walk the streets of Kabul because of kidnapping, and journalists regularly meet Taliban officials in Kabul because the whole apparatus is so porous and corrupt," he said. One day after this interview was conducted, reports hit the global media noting the CIA's warning to President Obama, that the Pakistan-supported Taliban could still regain control of the country. Hedges predicted that President Obama's war report released Thursday would "contradict not only [US] intelligence reports but everything else that is coming out of Afghanistan." His prediction came startlingly true: the CIA's own assessment was said to stand in striking contrast with President Obama's report. There is a new possibility. There is a new creation. It has nothing to do with superstitions regarding Jesus coming again. It has nothing to do with magic pill technology that can keep us happily motoring. It is the creativity and compassion of human beings facing reality and adapting with grace. One of the places I go to face reality is Mike Ruppert's Collapsenet. There is a charge for membership, $10 per month. For that ten bucks what I value most is World News Desk. Each day Ruppert and the staff search the web for news links and offer commentary. These links are to stories regarding the economy, energy, and politics. Here is Ruppert's latest video for Winter Solstice. WINTER SOLSTICE MESSAGE from CollapseNet.com on Vimeo. Check his radio program, The Lifeboat Hour, on the Progressive Radio Network. The Transition Movement is a vibrant, grassroots movement that seeks to build community resilience in the face of such challenges as peak oil, climate change and the economic crisis. It represents one of the most promising ways of engaging people in strengthening their communities against the effects of these challenges, resulting in a life that is more abundant, fulfilling, equitable and socially connected. We believe that we can make the transition to a more sustainable world. We hope that you will join us. Carolyn Baker writes a column for Collapsenet. Her latest is how to deal with "Clueless Relatives During the Holidays." I have discovered over the years that on some occasions when I cannot communicate about collapse with people I care about, what I can do is simply love them and savor the opportunity to be with them. While I may want to take care of them or protect them, I know that can’t, but I can fully engage in the present moment with them. The future becomes less relevant and urgent when we can become fully present to another person, and whatever happens in the future, we can enter it with the comfort of knowing that we really saw, heard, and felt the person who was not able to open to the unprecedented changes of our time and talk about them with us. Pretty good advice. This is going to affect us all and change us all. If Ruppert if right (and he has been much more right than wrong) this change will happen soon. I do put a big dollop of hope in humanity. I don't hope for some technological trinket that will enable us to continue our lives of Cheetos and football. Petroleum Man is going away. I do put hope in regular people who respond to change with creativity, compassion, and a cool head. The darkness will not overcome it. Umm ... the video left me shaking my head . . . This is apocalypticism at its finest and scariest. I was sort of willing to go along with the idea that there is going to be a global economic collapse in the next 3 months (no credible economist is predicting this, btw, and I'm talking Krugman). But when he starts in about hoarding food and water, enough for 3 days for every person in the house . . . well . . . There was a man sent from God whose name was John who said (among other things)"Even now the axe is aimed at the root of the trees . . ." And he was of course right on the idea about turning our lives around and totally wrong on the timing. My point is that in my opinion, little is gained by scaring people with hyperbole. We have two choices: love or fear. Which one will eventually take precedence, time and hope will tell. Love and life to you in this holy season. Now that Christmas is past and I have a few moments, I want to say a bit more about your very important comment. I may need to make a post about it. If we were on the Titanic and someone told us that it is going to sink and we ought to secure the lifeboats--is that fear and apocalypticism or is it love? The difference is whether or not one is right. We call gloom and doomers “Jeremiads”. We do that to dismiss them. That is a strange thing to do since Jeremiah was right. In 587 BCE, Judah did collapse. I have known about Mike Ruppert for a few years, but only this summer did I read his two books, Crossing the Rubicon, and Confronting Collapse, and watch his videos on 9/11, Peak Oil, and the most recent, “Collapse” now on Netflix. Extreme? Sure. Hyperbolic? Could be. A Jeremiad? Definitely. The important question is…is he right? Or better, is he close enough to being right that we ought to listen to him? It could be that he is wrong on timing. Maybe not three months. Maybe three years. Maybe 30 years. It could be that he is wrong on collapse in general. Maybe Empire will continue its infinite growth paradigm forever. It could be that he is right on both collapse in general and on timing, but that a personal lifeboat of food and water is not necessary. (As far as food and water are concerned, I don’t think that is such a bad idea for anyone who can do it at anytime. We should always be prepared for emergencies. That said, I haven’t done so). Ultimately, everyone has to make his or her best guess. I tend to listen to Ruppert. He has been right on important things before. He is not the only one concerned. I post on Peak Oil on a regular basis from many sources. Millions of people are waking up. Civilizations and empires have collapsed throughout history. Ours is particularly unsustainable and signs of its demise are everywhere. But that isn’t because the messenger is scary. It is because the message is scary. That said, scary is not the last word. Life and love are the last words for me. That means being awake and responding to reality with compassion. The kingdom of God is among us. The reason I post this stuff is because I think people need to consider this. I do my little part to break the silence of denial. We are not living sustainably and payment is due.